Did you know that there is a whole village in Egypt that contributes to banning plastic by its people’s natural handicrafts? Such an entrepreneurial action has already started many years ago, in the village El-A’lam in the Egyptian governorate Fayoum, and is currently taking place under the leadership of a woman. “A bamboo chair, for instance, looks more beautiful and charming than a plastic one. 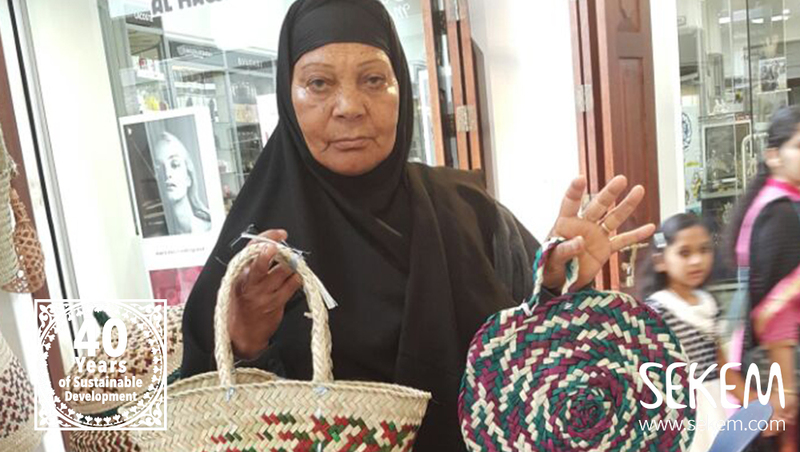 Plastic is boring and missing life in its appearance,” says Kamla Ahmed Hamed, the head of the workshop for natural handmade products, who is also supplying SEKEM for many years. “300 small plates were the first batch ordered by SEKEM,” recalls Kamla. “I still remember how happy I was when a SEKEM co-worker first visited my place to set this deal with me,” she tells. Since the early 1980s, Kamla is supplying SEKEM with the handmade wicker plates on which the organic dates are served in supermarkets – a special feature that differentiates the SEKEM dates from other products displayed on the shelves. Now, SEKEM orders from Kamla around 60,000 plates of different sizes as well as other items like baskets and trays every year. Moreover, the “international trader” as her clients describe her, is now invading Europe and the Middle East with her productions. Besides exporting to several countries including Italy, Belgium, and Germany, for instance, Kamla also presents her handcrafts on international exhibitions. Tourists from all over the world come to visit her and to buy the village’s handworks. Kamla shows her handcrafts in international fairs. The Egyptian oasis Fayoum is renowned for its art handicrafts. “We inherited our talent from our grandfathers, and today we are passing it to our children and grandchildren,” says the committed trader. But the mother of four sons and two daughters also knows that these traditional knowledge does not replace school education – especially as she had to leave school already before finalizing the primary stage to learn the wicker industry. “I loved to do the basket-weaving, but I was always very interested in commerce as well”, Kamla tells. By joining her grandparents while conducting their business deals, Kamla got deep insights into trading and later succeeded to expand the scales of their trade operations. Although Kamla’s successful business involves around 30,000 residents, she urged her children to finish school. “My children did all graduate from university and my eldest grandson had recently received his bachelor degree in law,” says the grandmother proudly, highlighting how she perceives the value of education. 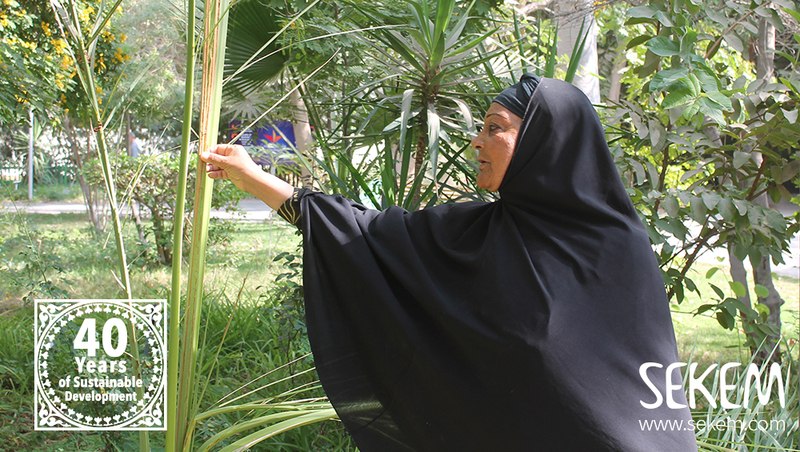 Hence, the ambitious Egyptian lady empowers especially women in her neighbourhood and surrounding villages to develop and become more independent. Kamla offers them a three-month paid training in order to enable them to work later from their houses and earn money. “Currently, around 50 girls who recently graduated from the vocational training program are enrolled at my workshop,” she states. But also local men are included in Kamla’s business. They take over, for instance, transporting or the logistics. For each business transaction, all workers that have been involved during the production receive equal shares – similar to SEKEM’s Economy of Love concept. 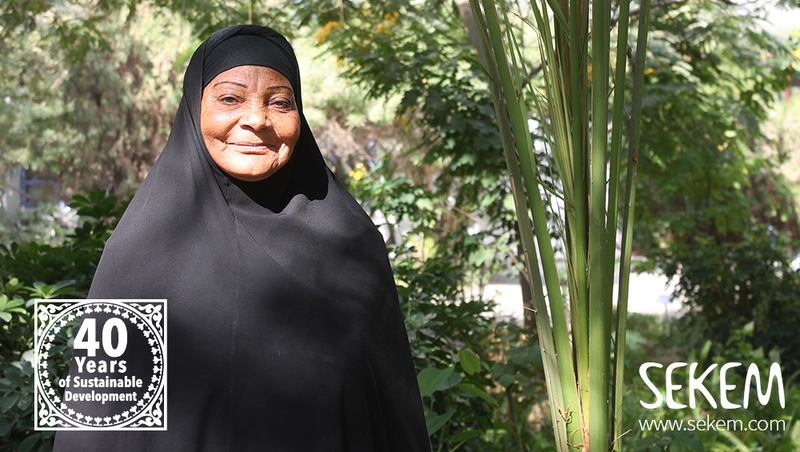 On weekly basis, Kamla buys the raw materials at the public markets in her village: “I use mainly the remnants of palm trees and bamboo, but also rice straw. This is important because many farmers burn the rice remnants illegally which has disastrous environmental impacts – same as burning wastes and plastic”, she tells. Kamla during her recent visit to SEKEM’s educational institute, Heliopolis University for Sustainable Development.